Radiation embrittlement, corrosion, fatigue and other wear dictate the rate of temperature change at which the reactor pressure vessel (RPV) that accommodates the fuel core can be cooled down without cold-shock damage. The permissible temperature rate of change is re-assessed regularly as part of the reactor coolant system (RCS) Pressure and Temperature Limits Report or PTLR for short. NUREG-1433 Vol. 1, Rev. 1, with the title “Standard Technical Specifications General Electric Plants, BWR/4“, technical specification 5.6.6, details the report’s requirements for boiling water reactors (BWRs) of the type at Units 2, 3 and 4 of Fukushima Daiichi nuclear power station. Unit 1 is a BWR/3. Similar regulations apply to reactors of this type as well. As a common rule, with increasing age more time is needed to cool the RPV down safely. According to the Amendment to the Facility Operating License for Oyster Creek Nuclear Generating Station filed by Amergen Energy Co., LLC, with the Nuclear Regulatory Commission (docket no. 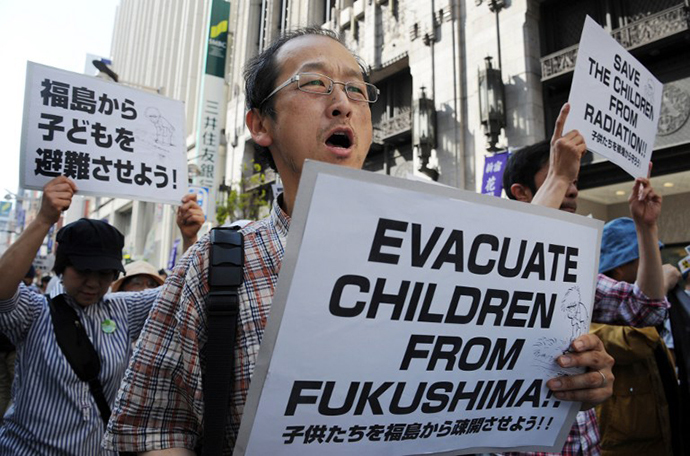 50-219) on Nov. 27, 2006, p 3.3-6, the RPV of a BWR of similar type and age as that of Fukushima Daiichi’s Unit 1 can be safely cooled at 300° F/h, or 149° C/h, in an emergency shutdown. In accord, Unit 1 could have reached cold shutdown, that is an RPV temperature of less than 100° C, in two to three hours after the seismic SCRAM on March 11, 2011. However, the plant operators determined that the RPV was cooling down too fast. In an effort to prevent damage, they turned off the isolation condenser (IC) that provides coolant to the RPV during shutdown. After the tsunami arrived, they could not restart the IC. After four decades of service, the vessel’s wear may have prevented a timely shutdown at this dire moment, a circumstance that may pertain to any aging nuclear power reactor.